To go further in organ model development in 3D bioprinting, several bioinks still need to be created. A functional conductive bioink was one of them. Achieving a physiological relevant conductivity for different use opens new possibilities for whole organ model development, such as nerve repair with new possibilities for tissular regeneration. Additionally, it can be used for muscular contraction models where after electric stimulation, cells can contract and thus resemble a functional muscle. The aim of the following project was to create and evaluate a non-cytotoxic conductive bioink consisted of GelMA-based bioink supplemented with single-walled carbon nanotubes to enhance conductivity. A printing protocol of the GelMA based bioink has been optimized for both INKREDIBLE+ and BIO X, equipped with the Temperature controlled printhead and nozzle insulator. After a quick preparation, cells can be mixed with the bioink in 1:10 ratio and printed with high precision, followed by the photocrosslinking. 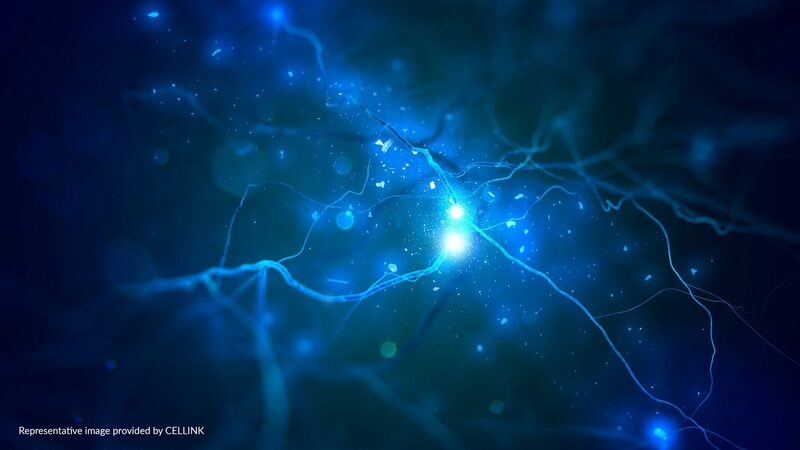 Conductivity allows the communication between neural and muscle cells through electrochemical signals. Known to be a remarkably conductive material, carbon nanotubes added to bioink substantially increase the electrical conductivity of cell surroundings while retaining cell viability and functionality. In this video beside we see the lighting of an LED using the photocrosslinked conductive brain construct as a part of the electrical circuit. The construct was 3D bioprinted with the BIO X with Temperature controlled printhead. 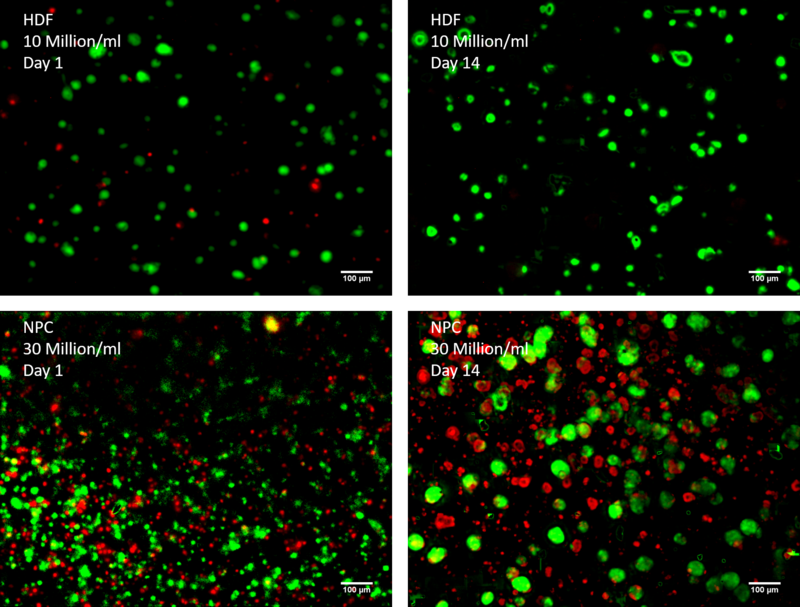 Cell viability on Day 1 and Day 14 after printing has been assessed for human dermal fibroblasts (HDFs) and more sensitive neural progenitor cells (NPCs). HDFs exhibit a high viability of 80 % on Day and 95 % on Day 14. Due to aforementioned sensitivity, the viability of NPCs was lower than 50 % on both Day 1 (44 %) and at Day 14 (22 %). It is important to note possible live cell count error due to the cell aggregation, which results in lower viability values. To evaluate the reproducibility, we performed a follow-up validation study of the conductive bioink. In line with previous studies, the conductive bioink ensures a good viability of sensitive NPCs. In addition, test performed of the new bioink formulation showed increased stretching of the NPCs. The difference between the two formulations of conductive bioink was visible already at Day 7. 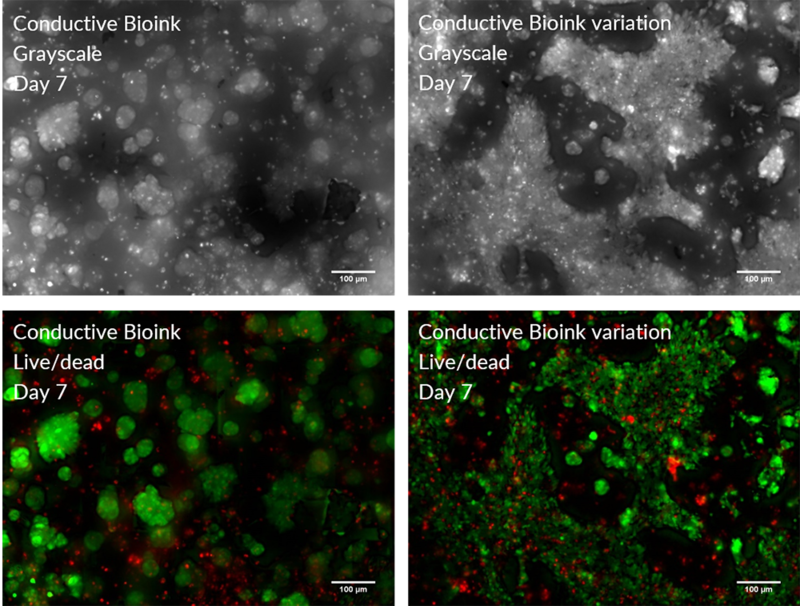 Live NPCs printed in the original bioink formulation form aggregates visible under fluorescence microscope (shown in the right column of images beside; green: live cells, red: dead cells). When printed in the new bioink formulation, NPCs tend to form less clusters and seem to be migrating towards each other creating a web-like pattern aligned with the structures of 3D matrix (shown in the right column of images beside). 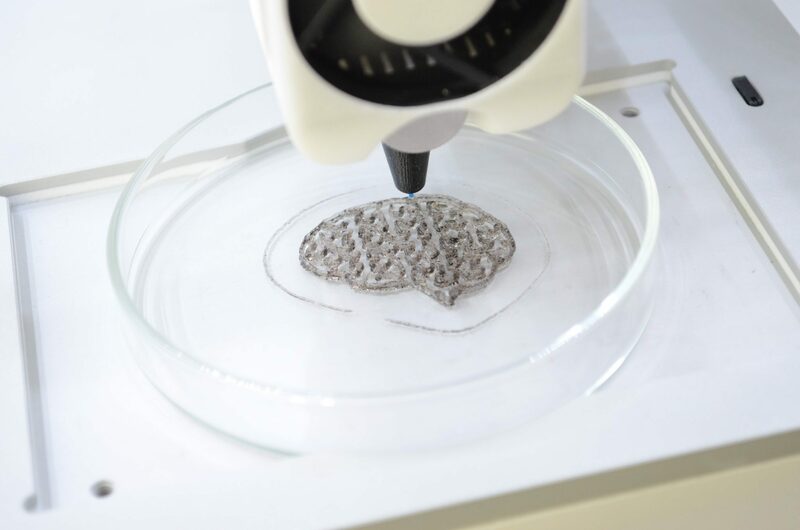 In this study, we acquired a great conductivity of CELLINK® Bio Conductink and a high precision printing ability. Moreover, we successfully cultured 3D bioprinted constructs of two different cell types (HDF and NPC) for 14 days and demonstrated the bioink-dependent cell migration pattern. .